We all like to say that we’ve got style, but let’s face it: sometimes, we do play it by the ear. 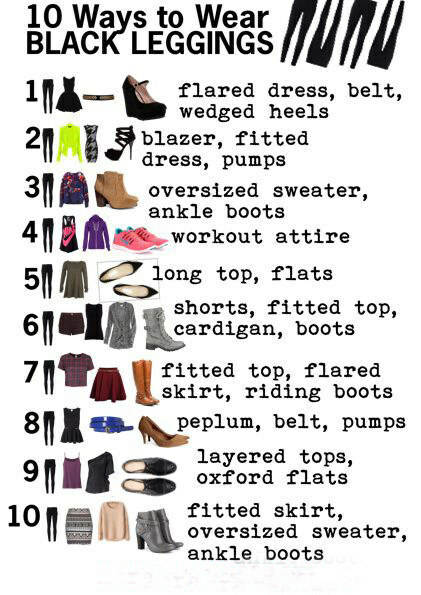 And although that’s not necessarily a problem, knowing a bit of fashion theory is always an advantage, right? Sizes do tend to differ from brand to brand, don’t they? 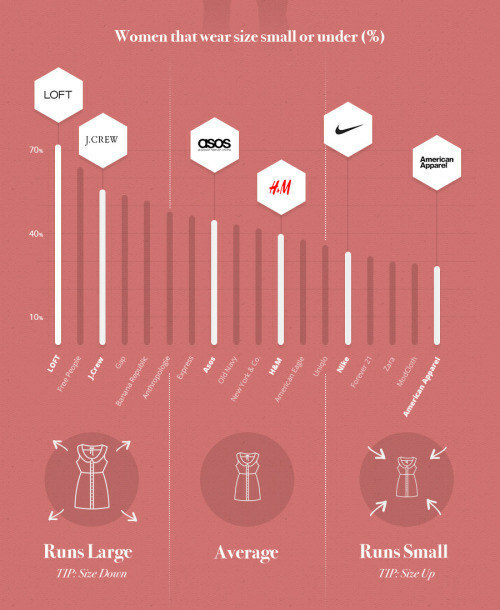 While Asos, Old Navy and H&M are doing a pretty good job at sticking to the regular sizes, J-Crew, Gap, Banana Republic and LOFT tend to run large, so you may want to consider sizing down when shopping from them. Brands like Nike, Forever 21, Zara and American Apparel, on the other side, run small, so don’t be afraid to try on clothes that are a size or two bigger than what you usually wear. They go with absolutely everything. 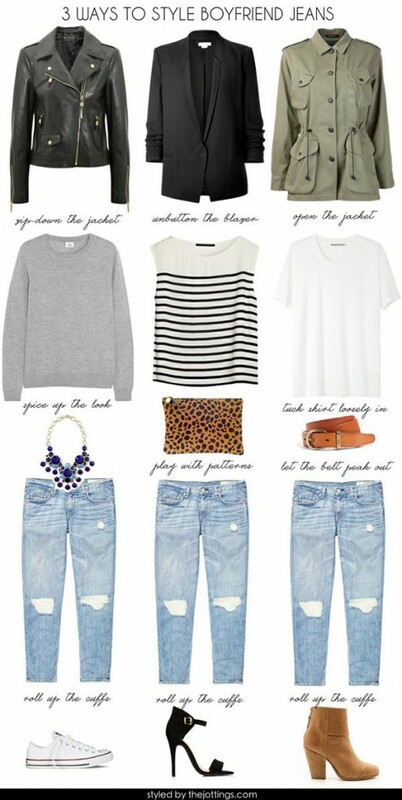 One pair of jeans, three absolutely amazing looks. What else could you possibly wish for? Oh, I know – even more amazing looks that you can pull of with clothes from your boyfriend’s wardrobe. Read more about this here. Then you may want to read the info on this chart extra carefully. It does give you quite an interesting perspective on what clothes and accessories are actually worth in the long run, don’t you think? Anyway, you get the idea – do invest in items that you wear often, but don’t spend too much money on things that you’ll only wear once in a blue moon. Buying good quality bras and shoes is something of the utmost importance because your health and well being are involved too, but hosiery is not nearly as significant, because it’s so delicate that you won’t even get to use it more than once. Ever wondered why some earrings look better on you than others? Well, it’s all about your face shape, and the chart below is just perfect for identifying the ideal earrings for you. If you’ve got a round face, steer clear of rounded designs – these are great for square faces, actually – because dangle earrings will look much better on you. Oval faces will look good with any type of earrings, while the features of a heart-shaped face will definitely be enhanced by elongated lines and curves. The same designs will work brilliantly for diamond-shaped faces. Now go ahead and look like the most stylish version of yourself! Color matching is not that easy a task, and more often than not, we only realize that two articles don’t match when we put them on. 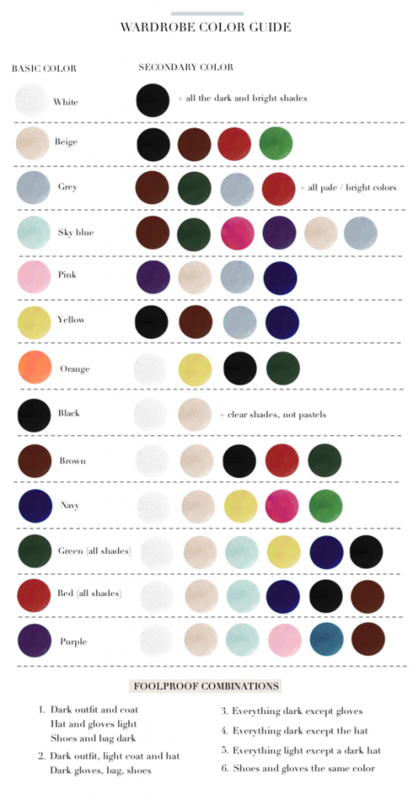 This style chart does simplify the entire process, and you should definitely try the foolproof combos proposed there. Number 1 and 2, for instance, are simply gorgeous. 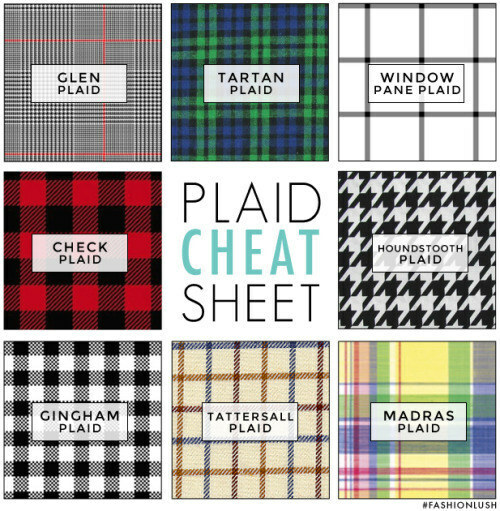 You never know when someone’s going to ask you what kind of plaid you prefer, and as a woman with style, you’ve got to know a thing or two about stuff like this too. 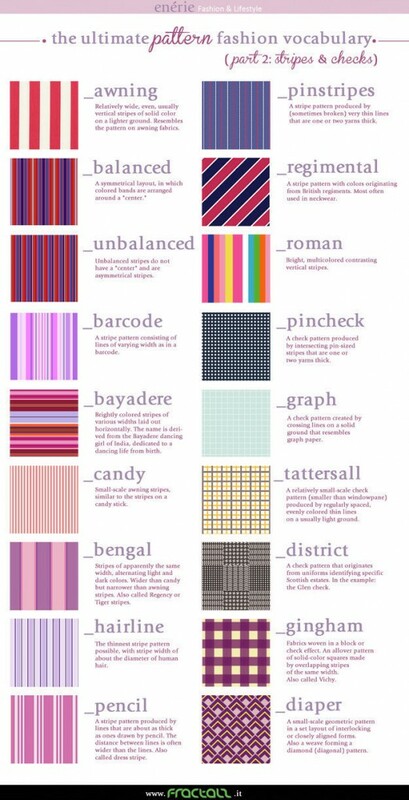 Don’t you find this kind of style charts extremely fascinating? I remember recognizing each of these patterns when I went shopping the first time after I saw this particular one for the first time, and this made me feel like Donatella Versace. Like I’ve told you in a previous article, mixing prints without looking like a total idiot can be quite tricky at times, but not if you start out with simple patterns. Once you master mixing monochromatic patterns with florals and plaids, you can try to match two prints with one unifying color. If you’re brave enough, you can even try your hand at mixing three patterns. All you have to do is add another neutral or monochromatic pattern to the combo. 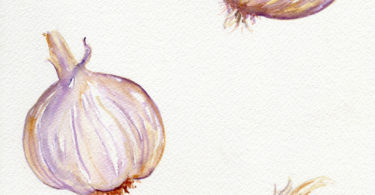 The ones shown in the pic are absolutely amazing, and the tips are truly invaluable. I bet that you had no idea that leopard was a neutral!